DAVID LE/Staff photo. 4/18/15. 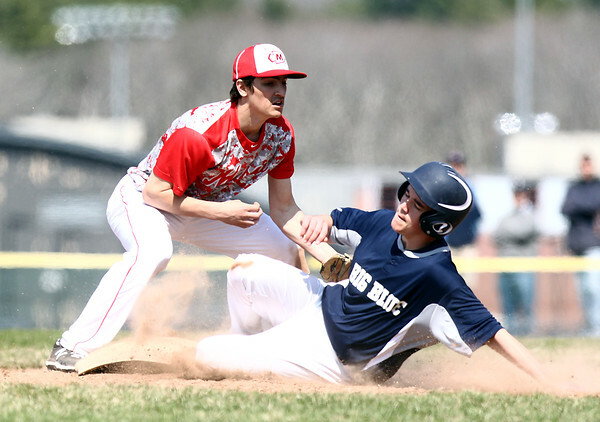 Masco shortstop Elias Varinos (2) can't slap a tag on Swampscott's Jake Venuti in time on a close play at second base.